Eating at Wendy’s has helped to give back to the community. This past December 22nd, all seven Wendy’s restaurant locations in Windsor-Essex hosted a Community Connection Day where part of the days profits were donated to the Arthritis Society. 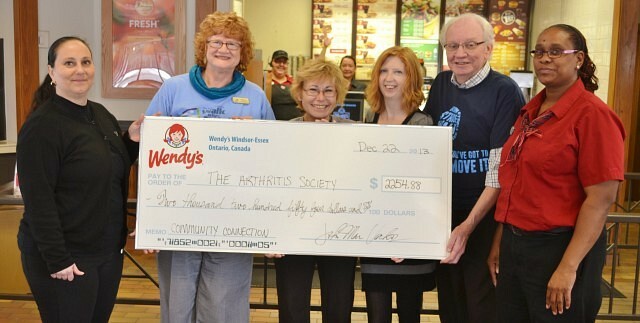 On Wednesday a cheque of $2,254.88 was handed over from Wendys’ to the Arthritis Society.